A common method for driving multiple power LEDs is through two parallel strings. This inexpensive and less critical driver circuit can provide a lower voltage. However, the driver circuit must deliver twice the current of other methods and needs a circuit that halves the current in the two strings, regardless of the LEDs’ forward voltages. The LEDs’ forward-voltage tolerance is as high as 20%, and the voltages change with LED temperature and aging. A current mirror performs this task well. If an LED breaks, it can cause destructive overcurrent. The current mirror, however, can safely partially protect two parallel, connected strings of any number of 350-mA power LEDs from these overcurrents (Figure 1). any number of 350-mA power LEDs from destructive overcurrents. The circuit can balance the currents between strings with a matching error of approximately 2% because of the equal voltages of 0.5 V developed on 1.5 Ω emitter resistors R1 and R2 with 1% tolerance. The voltage drop across resistor R3 compensates for the mismatching of LED voltage drops and holds both Q1 and Q2 in the linear region. The voltage drop depends on how many LEDs make up the two strings. If an LED of String 2 fails, however, no base current flows to transistors Q1 and Q2, and they turn off. All LEDs in String 1 have automatic overcurrent protection. The circuit doesn’t perform the same function if an LED in String 1 fails because all of the 700-mA driver current flows into String 2, which needs some form of protection. You can solve this problem by adding only three components (Figure 2). solve this problem by adding only three components. In normal operation, transistor Q3 operates in its linear region with an emitter-collector voltage of 0.7 V because both diodes D1 and D2 are forward-biased. The power dissipation of Q3 is only about 0.5 W, and it thus needs no heat sink. The 700-mA driver current coming from the collector of Q3 divides equally between the strings through steering diode D2, as the current mirror dictates. If an LED in String 1 fails, diode D2 blocks the base current of Q3, turning it off. The driver current can no longer flow through String 2, safeguarding the LEDs. You must compensate for diode D2’s 0.7 V voltage drop, which slightly increases the value of resistor R3. 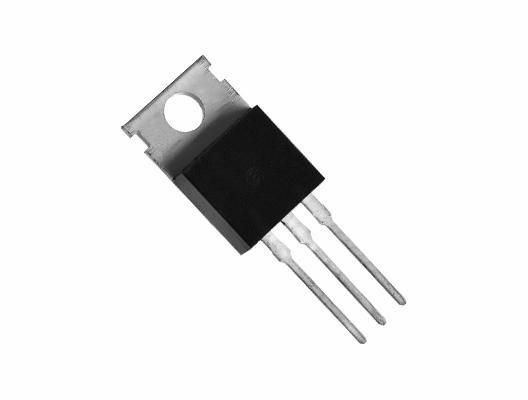 You can adapt the current mirror for driving any type of LED without exceeding the absolute maximum rating of the transistors’ collector current, which is 1.5 A. You can test the current mirror with any 700-mA constant-current LED driver, or even a voltage regulator configured as a current source, such as Texas Instruments’ LM317 regulator. The circuit underwent testing, with the LM317 acting as a 700-mA current source with five LEDs per string. Flying inductor LED series voltage boost circuit. Using a flying inductor to boost the voltage across and LED in series with the battery and power supply. White LED drive from 1.5V. Blocking oscillator based design allows LED + power supply to fit in #222 lamp base.